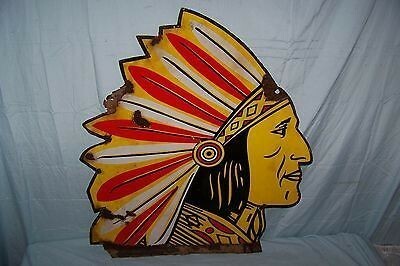 This 27″ by 34″ sign is simply and Indian head. The colors on the red are yellow, red, white and black. The Indian is looking towards the right and this is a single sided porcelain sign.